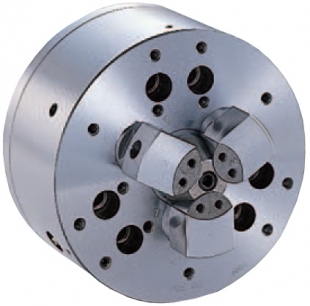 210 mm three jaw pull lock chuck with max speed of 5000rpm. Three jaw high accuracy pull back chuck for internal gripping. Standard Equipment: Chuck includes mounting bolts and 1 set of soft jaws.